Electronic Voice Phenomena EVP & Paranormal Investigations. - ADVANCED Recorder Options. 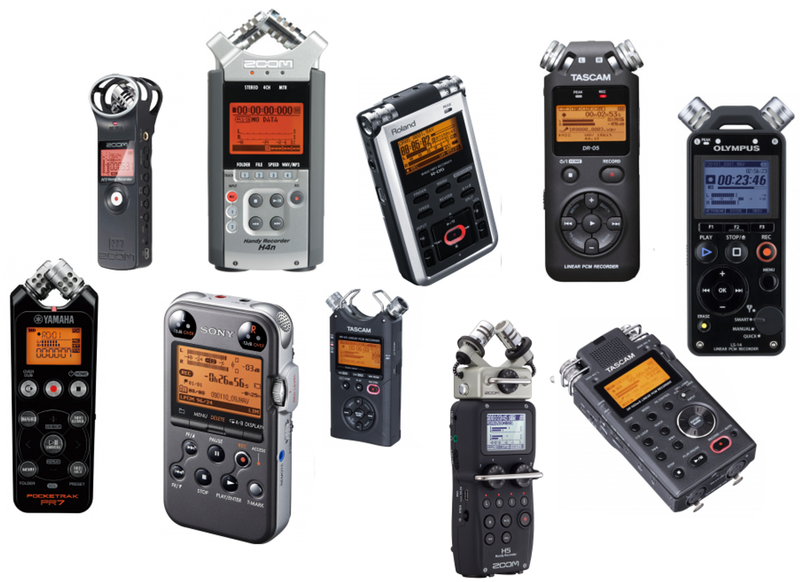 EVP Recording devices - Advanced Model. 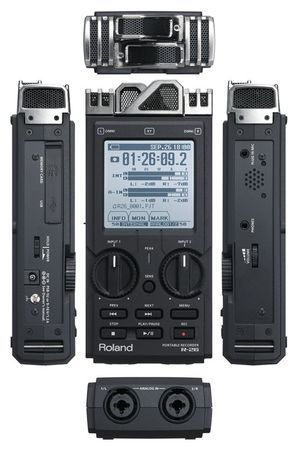 The Roland R26 - 6 Channel Portable Recorder. A quick look through the internet will show you a high number of different recorders and at various prices and different options. Your first consideration will always be your budget. You can only buy what you can afford. If you have read through the page titled 'Tools Of The Trade' you will by now be having questions about the best recorder to buy. I often get asked what is best and why I use the Roland R26 so in this page I will give you the reasons why. I use a recorder for live music so my requirements are not solely for EVP. So let us look at the Roland R26 in detail and how the options on this unit help for better if not superior EVP recording. Multi Channels and Microphones: The R26 has four built in microphones, two directional and two OMNI. DIRECTIONAL: These microphones will pick up sound from the direction you point the microphones at. OMNI: These microphones pick up sound from the full 360 degree spectrum. In both cases the unit records these microphones on two sets of stereo tracks, four tracks in total. Each two sets of tracks recording possible different sounds. I am able, to within '90 degrees' say where a recorded sound came from. Once again this highlights the importance of data - the position of the recorder in relation to the room. If you look at the photo of the R26 above (bottom photo) these are two external inputs, I am able to plug in two further microphones and if these microphones are wireless, I am able to record the room I am in plus a room anywhere else in the building and then listen to each recordings separately. The R26 also allows it to be used with electrical power as well as batteries and the biggest benefit is you can use it as an interface for direct computer connection. I can then monitor (listen too) in real time what exactly is being recorded and not rely on the units internal memory card. Although in the majority of cases nothing is heard at the time, it's only after the recording is listened too later that EVP is discovered. The R26 can be used for inside and outside and is supplied with 'wind foam' to cover the microphones. It also has a standard camera stand hole so your able to position the unit anywhere without fear of it falling over. Headphone socket to allow noise free operation. The unit also has a built in speaker for real time speaker monitoring. There is a range of optional accessories you can purchase. An important aspect of the R26 is your able to increase/decrease microphone sensitivity. You simply set your recorder and press the SENS switch and the unit will sample the current room noise and suggest the optimal setting. You can of course set the unit manually which allows you to pick up only loud sounds and not the back ground noise of a location. There are certain risks when using this option such as missing EVP at lower volumes. The more you use the R26 the better an operator you will become.